To date I’ve been okay with the occasional stop at the Beaverton Five Guys, which like the new Salem location, is located in a nasty strip mall and often has a line out the door preceding the counter, where you can see a team of far more than five guys assembling burgers and artfully placing pickles. As I told the people who were still deciding whether to line up, people wait for Five Guys because dudes can really make a burger and you are gaurenteed to get at least a dozen perfectly fried in peanut oil French fries in your mammoth tub of taters. Some advice: even if you have a big eater, a small fry is probably all you need. If you’re a lady or have a smaller appetite, for God’s sake, get the Little Cheeseburger, it’s big enough. And if you’re staying there to eat, obviously you should get a small drink to share, since it’s your job to fill up your soda cup. Five Guys is great. But if you really want Salem’s best burger, try Rock-N- Rogers. This entry was posted on June 6, 2010 at 3:11 pm and is filed under Food. You can follow any responses to this entry through the RSS 2.0 feed. You can leave a response, or trackback from your own site. 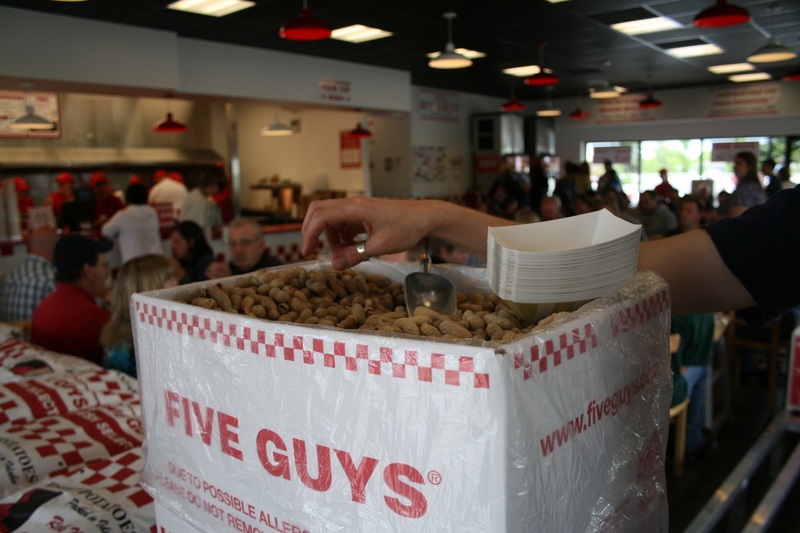 I’ve only been to the five guys in west linn and don’t really see what the hype is about. The burgers are average, but i guess the ability to totally overload it with toppings is what keeps people coming. As for Rock-N-Rogers they are meh…Salem has a real lack of good burgers, for god sakes there’s not even a burgerville. I like Burgerville but it is so inconsistent! And you really need to go and get the Workman’s cheeseburger at rock n rogers. They really are delicious. More like Meh-arvelous! The workman’s is delish, but my favorite burgers in Salem are at Willamette Burger Co. You can’t beat that beef! That’s no lady, that’s my wife! (With apologies to any remaining vaudevillians.) Despite your estimate of a lady’s appetite, I have to say that I, a woman, was able to wolf down a full-sized bacon cheeseburger. Or perhaps you meant that a woman could, but a lady shouldn’t? Either way, thanks for the tip. 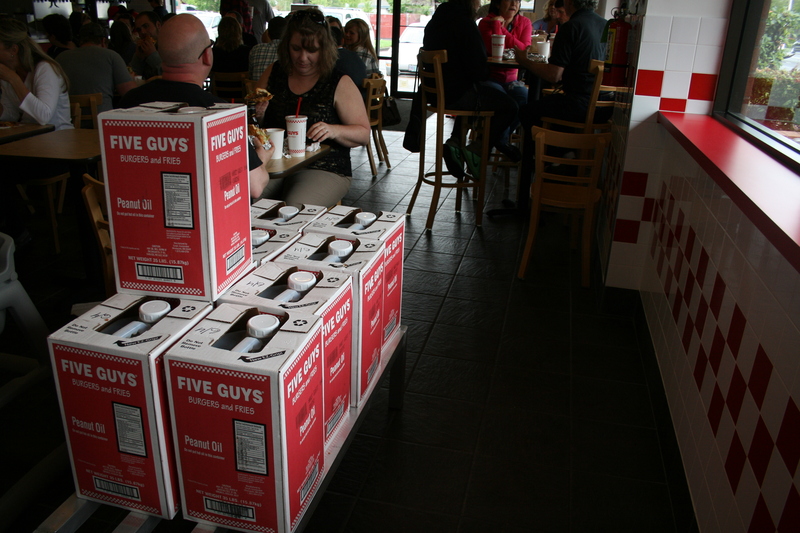 Our family hadn’t realized that Five Guys had come to town. If you folks don’t know about the Burger Basket on Mission/Hwy 22 near the Airport, then you really should not proclaim anybody “Best Burger” until you’ve judged them against the Burger Basket. Be sure to get the onions grilled of course.